Cast iron dumbbells are a staple in the strength training world. They are usually the most affordable style in the heavy dumbbell category. 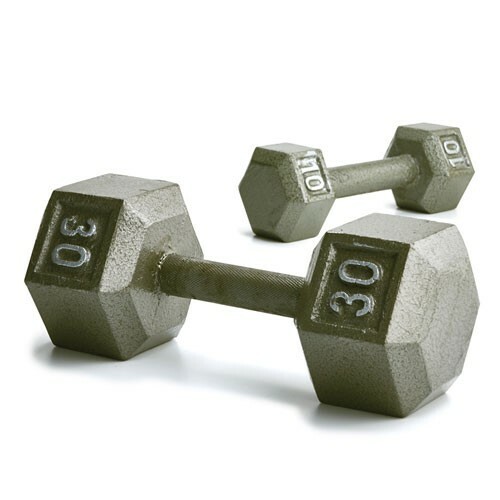 They are often referred to as solid dumbbells and come in several different shapes. 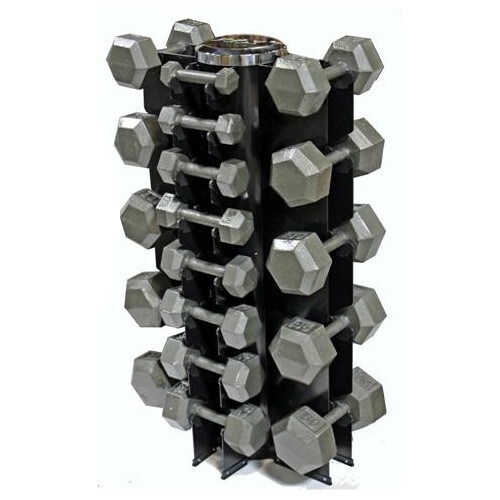 Solid hex dumbbells and 12 sided solid dumbbells are a couple of the most popular shapes on the market. Both of these configurations offer the safety of flat sides that prevent the dumbbells from rolling over feet and hands. 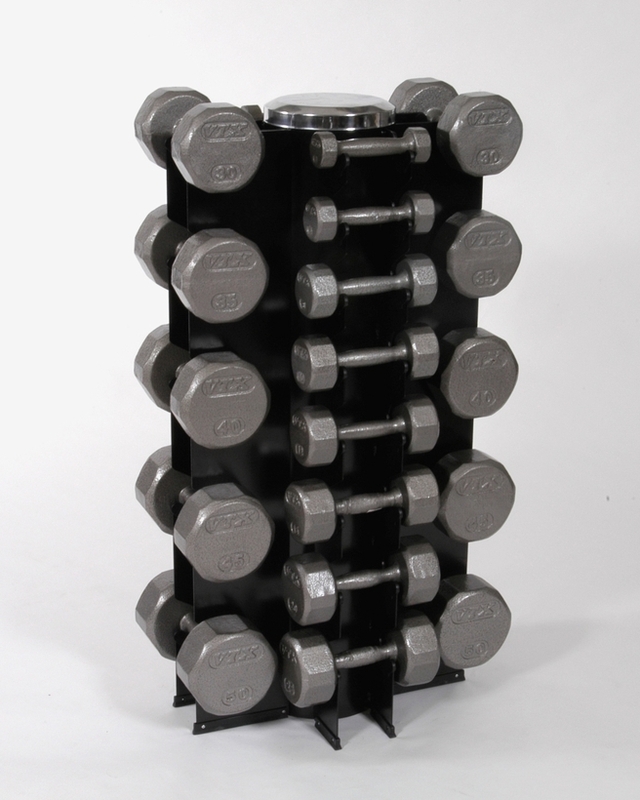 Cast iron dumbbells can be configured with straight handles or ergonomic handles. If you already have a set of solid dumbbells or are considering them, remember to get a storage rack to keep them organized and your exercise room safe.